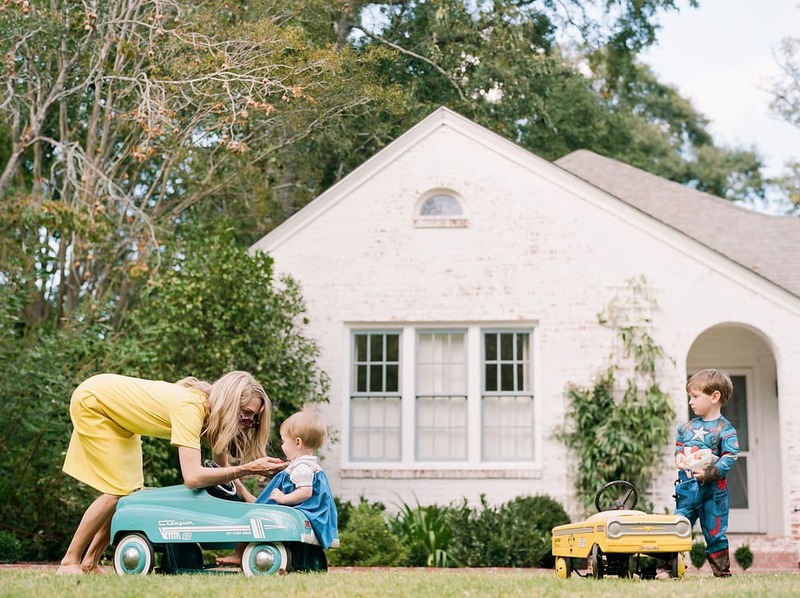 This month’s Mommy Chick, Allie Mood, is a styling and photography inspiration. At least she is to me. She’s someone who puts a smile on my face by just looking at her IG photos and reading her beautiful words. 🙂 Words that immediately come to my mind when thinking of Allie are: living life in color, vintage, 60s, loving mother, beautiful photography, bright, happy, and a huge heart. Who wouldn’t want someone like that in their life?! If you don’t follow her already on Instagram, you probably should. We’re honored and thrilled to have Allie as our July Mommy Chick of the Month. Here’s our interview with Allie. We think you’ll leave feeling inspired too. Nina: Hi, Allie! Tell us a little bit about how you got started as a stylist and influencer. Allie: My work as a stylist and influencer really evolved organically. I worked with companies and small businesses for free for a very long time. I did this because I truly loved children’s fashion and photography. When I first started using Instagram almost 5 years ago, I really didn’t know the platform held such large possibilities. Very early on, while just taking pictures of my eldest daughter for fun, Babiekins Magazine reached out to ask if I would like to start blogging for them, because they loved the way I styled my daughter. From there, it really took off. I blogged for Babiekins for almost a year, and then moved on to Ministyle blog, before doing my own thing. I would reach out to small companies and clothing makers, asking if they would let me use their clothing for photoshoots. During my time with Babiekins and Ministyle, I really realized that it was work, really hard work— the collaborating, the styling, the prop collection, the model and location scouting. So with that, I slowly built up the confidence to ask for compensation. During this time instagram was really growing, and PR companies and influencer companies were forming; these people slowly started to reach out. 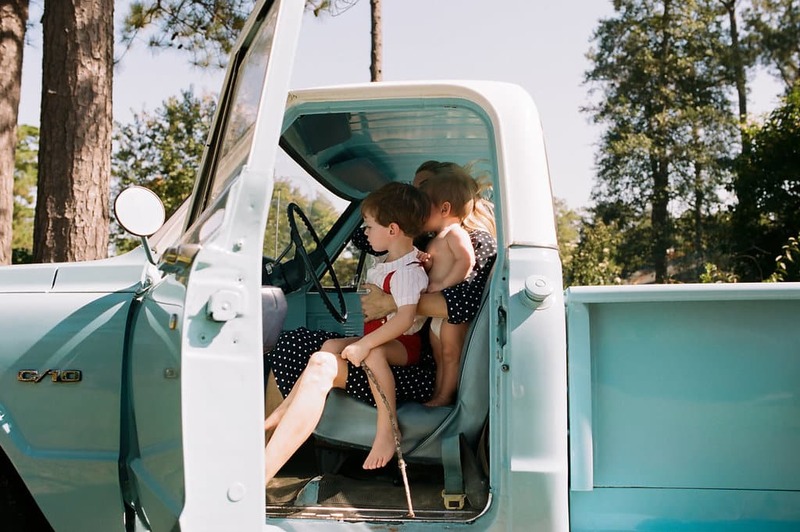 N: We love your vintage girls’ dresses over at Poppy and Hen. What inspired you to start the brand? How did you learn to sew? A: My mother is a phenomonal seamstress and taught us to sew at a very early age. She had her own children’s line as a new mother in the 80s, and also sold her designs to Neiman Marcus when she was newly married to my dad. Growing up, the sound of a sewing machine and serger were the norm in our household. My mom made our clothing, our middle school dresses for dances, our debutante dresses and our bridesmaids’ dresses. She is really the inspiration behind anything creative that I do. 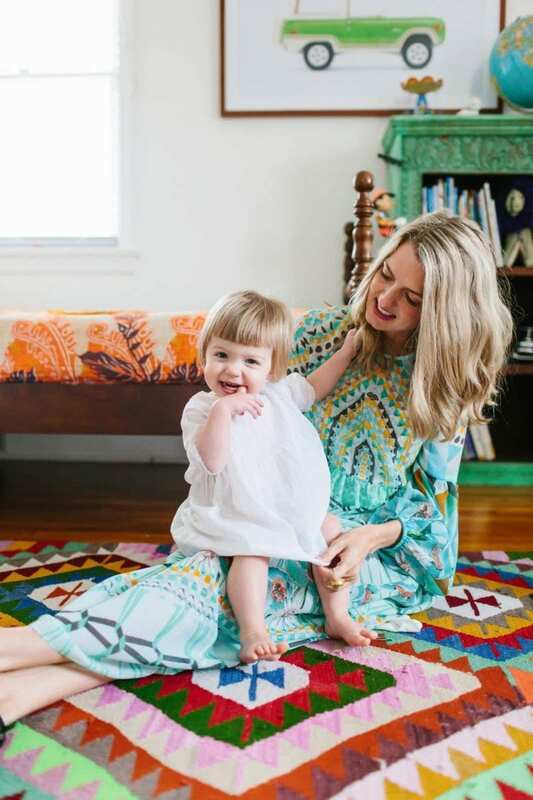 Poppy and Hen came out of my love for happy and bright fabrics, my love for simple times (a time before all the technology), and my love for vintage design. 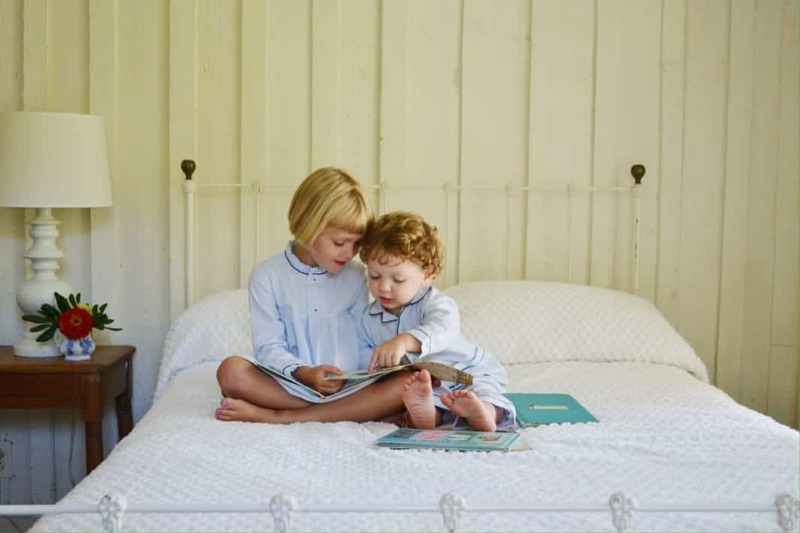 All our patterns are based on designs from the 50s and 60s, a time of childhood innocence. My mom and I work together to bring vintage style dresses to the market. A: Creative–I think I have always been a little creative and out of the box. I never really fit the mold or was mainstream, and growing up that was hard because I really didn’t know how to nurture that. Today I have so many outlets for creativity–in my house, in my work, in my mothering. Growing up I was just known as the girl who didn’t really quite fit. Today in my mothering, I really hope I remember to nurture my children’s own individual needs, even if it doesn’t fit with the mainstream. Empathetic/Sensitive–I went to school for social work. It really is my true passion, and I know there will be a season where I return to it. I grew up sensitive and see that same sensitivity in my children. In college, I learned how to turn the sympathy to empathy. Procrastinator–Always always procrastinating. Always unorganized and always last minute. This is my downfall. This can be hard for people that I work with, but it is me through and through. N: We love following your story on Instagram. What inspires you to share your family life? A: My children are really what inspires me. The joy of taking their photos inspires me. I truly love childhood. The innocence, the simple pleasures of running in the backyard all day, the innocent and uncluttered mind. I don’t ever want to forget these moments. I really see my instagram as my journal, or my blog. People often ask why I don’t blog or have a blog. The procrastinator in me won’t allow it. So instead I instagram. A: I need to reconnect with my husband. I have loved reading your blog to see how others reconnect. We go on dinner dates and coffee dates, and we have just now decided we need to plan to go away sometime. Just the two of us. We seem to be drowning in parenthood sometimes, so sometimes it is just sitting on the back porch after the children go to sleep. N: What do you feel is the greatest obstacle you’ve overcome? A: Oh gosh, the obstacles. There have been a few. I am pretty open with people about my life and my obstacles. I feel that sharing our darkness is the only way we can share light. I struggled through college with boyfriends who were abusive, drug addiction, undiagnosed ADD, and much more. Once I healed, I turned that darkness to light and studied social work. I was lucky enough to have parents that never gave up on me. I buried a great deal of pain when, in college and for many years, I was drowned in shame. Today that darkness and shame is flooded in light, and I am forever grateful for grace, forgiveness and my faith. A: Motherhood has taught me so much. Daily my children teach me. They teach me about patience, forgiveness, love, individuality, hope, freedom, dreams. They are my biggest teachers. I have always said, I never really felt like myself until I became a mother. A: I hope our children don’t live in fear. I think with recent turmoil over elections and politics, we don’t actually know how heartily we are affecting our children. Their ears aren’t ready for the politics. Their ears aren’t ready for the uproar. My 7-year-old came home crying not long ago because someone at school told her that our president hates people. I don’t care who our president is, she is not ready for this. I think we flood our houses with opinions and uproar, often not knowing that little ears are listening. I think we need to open our back doors, turn off the televisions, build fairy houses in the backyard, and disconnect. This is what I want for their futures. I want them to feel secure and so happy in their present childhood that they are able to be the best they can be in the future. A: My greatest hope for women and mothers is that they love themselves, but also love each other. That girls and women know themselves and love themselves, enough to stand up, speak up, and speak out, no matter what the situation. Whether it is in a bullying situation, a classroom situation, a work situation, an abusive situation, or an unethical situation. I want them to know that their voices matter, and that they have the capability to make a difference. They matter and people are listening, no matter how far it goes against the mainstream. If it is in your heart, and it is meaningful to you, speak it. We all matter. So just as we speak it, we have to listen too. Listen to the other women, the other girls. Hear their stories. We all have stories; take the time to listen. Listening in the end is even more important than the speaking. Thank you, Allie. We loved getting to know you a little bit more and appreciate you sharing your insights and your story. xoxo ?